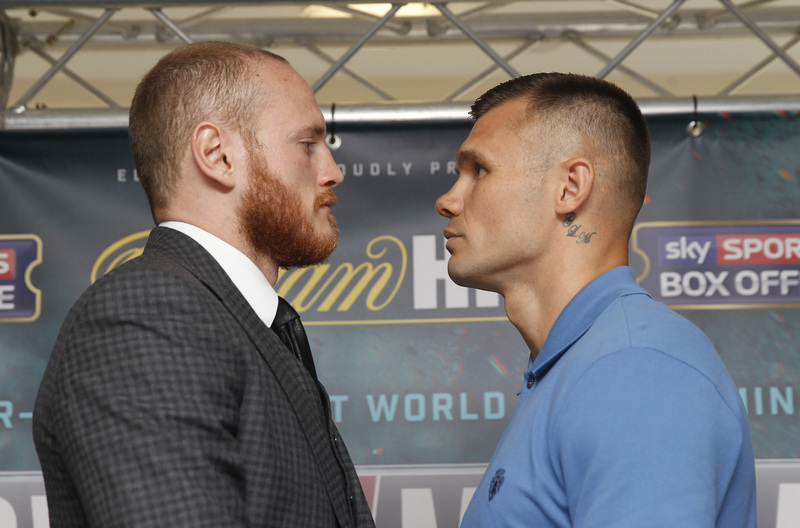 George Groves (23-3, 18 KOs) says Martin Murray (33-3-1, 16 KOs) will not hear the final bell when the British boxers collide on Saturday night in a mouth watering WBA title final eliminator at The O2 in London. Groves has been respectful of his opponent in the build up to their super middleweight contest, but at yesterday’s press conference, the ‘Saint’ shared his prediction for the outcome of their hotly anticipated clash. ‘’It’s a must-win fight and a fight I fully plan on winning,’’ he said. ‘’Martin is going to come with his game plan, he is going to try to be smart, he’s going to try and make me miss and hope that I tire so he can drag me into a dogfight in the second half of the fight, but it’s going to be difficult for him because I’m going to be landing big shots and he’s not going to be able to get past the first six-rounds the way he is hoping. ‘’Martin is a good fighter but he’s in with a better fighter, and a naturally bigger and stronger fighter. This fight wont just come down to who wants it more, it will come down to who is the better boxer. It’s not going to be easy, by any stretch of the imagination. I rate Martin and I like the way he fights, but I just don’t think he’s good enough to beat me. Groves and Murray clash on a huge night of boxing at The O2, as Anthony Joshua MBE defends his IBF World Heavyweight title against unbeaten American Dominic Breazeale. Chris Eubank Jr defends his British Middleweight title against Welshman Tom Doran, John Wayne Hibbert clashes with Andrea Scarpa for the vacant WBC Silver Super-Lightweight title, Brixton Heavyweight Dillian Whyte returns to the fray, unbeaten Birmingham star Kal Yafai is in action, Olympic bronze medal man Anthony Ogogo continues his comeback from injury, Conor Benn fights for the third time in the paid ranks and there’s a debut for Team GB star Felix Cash.